If you’re anything like me, keeping your brows on point between waxing appointments can be challenging. 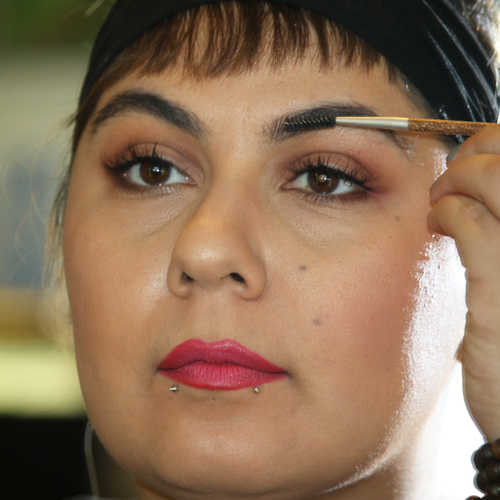 Here’s a few steps on keeping your brows full and shapely without getting a ‘sharpie’ brow– because who wants that? 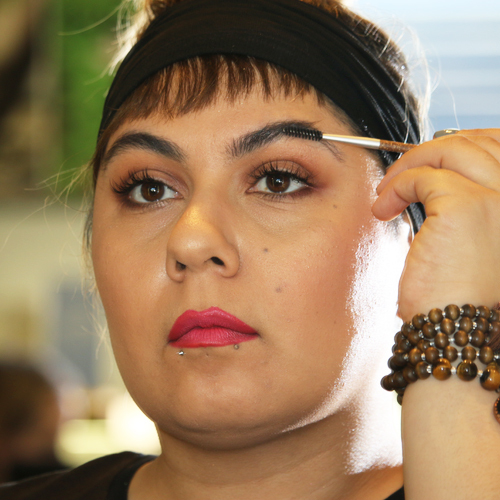 Step 1: Using a spoolie, brush brows down. Brushing the hair down allows you to get color onto the skin creating a softer look and more precise line. Step 2: Using a pencil that is similar to your natural hair color, use gentle strokes to fill in the top brown line. 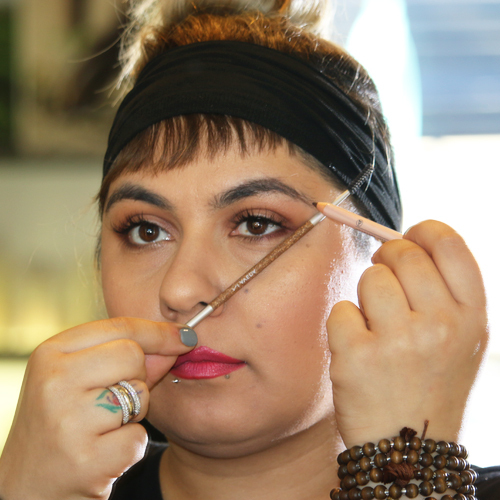 Step 3: Lining up your brush or pencil from the outer corner of your mouth to outer corner of nostril will show you how far your brow should extend. 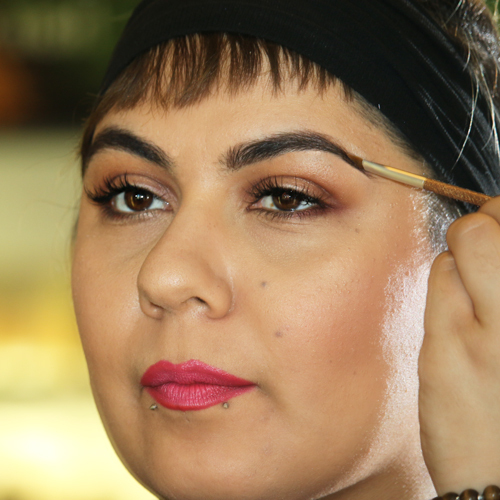 Step 4: Brush hair up and using the same soft strokes fill in the lower brow line. 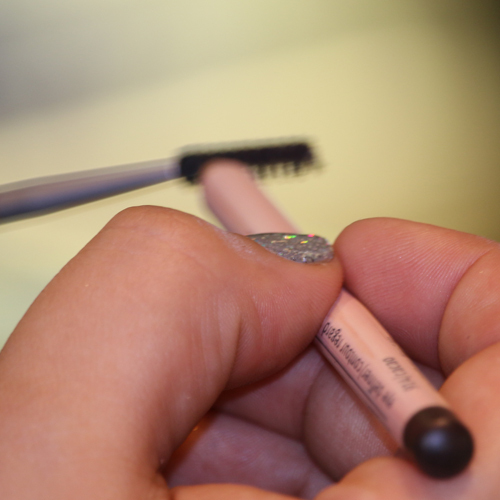 Step 5: Brush the spooled end of the brow lash brush on your pencil to get some pigment on it. 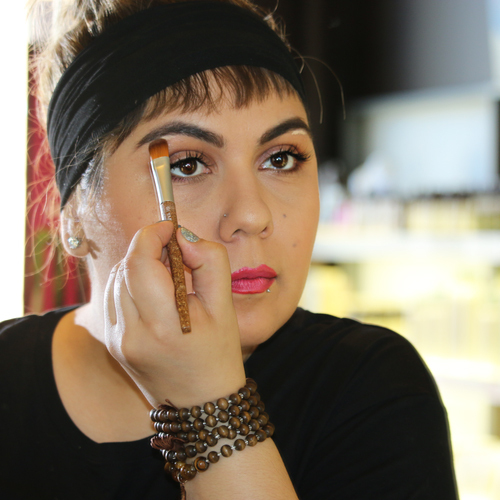 Step 6: Starting in the area that your brow is most sparse, start brushing in the color. Repeat on the other side. 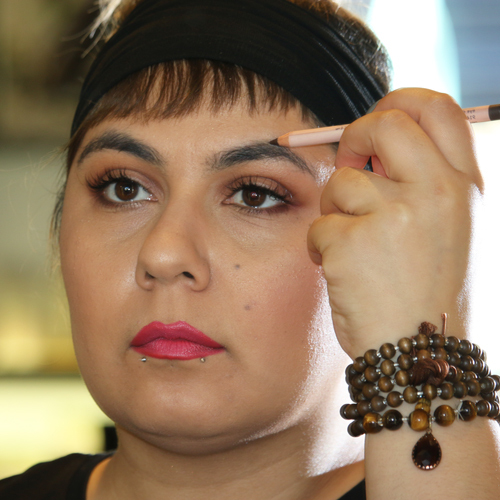 Step 7: Once you’ve finished both brows, brush your entire brow into shape. 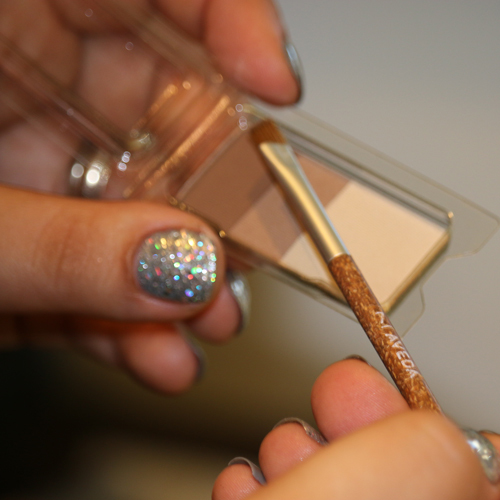 Step 8: Set the liner in place with the deepest shade of the Gobi Sands eye shadow trio. This will ensure longevity. PRO TIP: What do you do with all those little hairs you just tweezed. Use a fluffy makeup brush to gently dust away and fallen hairs. 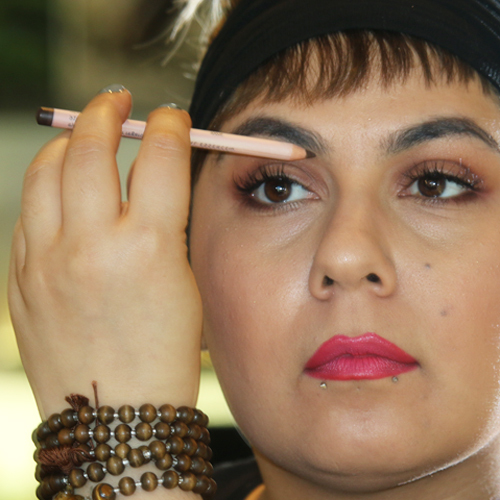 Step 9: Refine and highlight the arch of the brow with a touch of concealer. I like Aveda’s Inner Light concealer in Balsa. 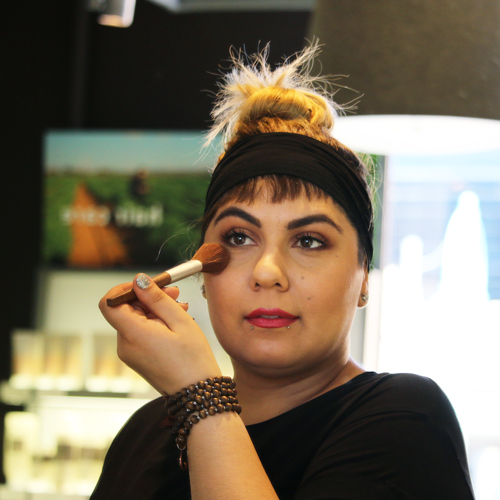 It dries to a powder so it will blend into any shadow or eye makeup later. 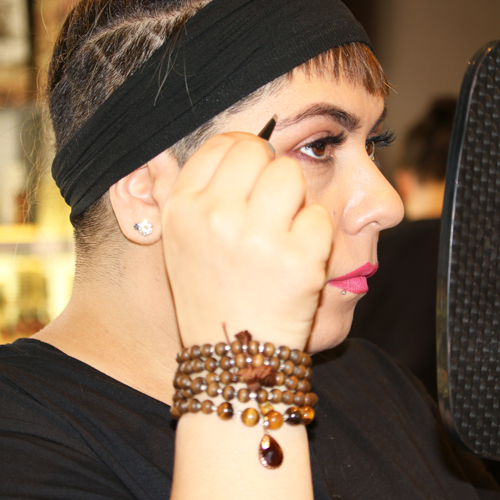 This blog was written by Neroli Downtown Hair Designer and Makeup Artist, Sepideh. 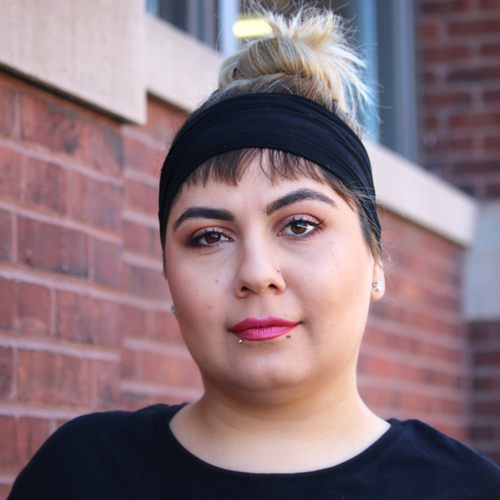 To schedule a hair, makeup, or lash extension service with Sepideh, call 414.227.2888.